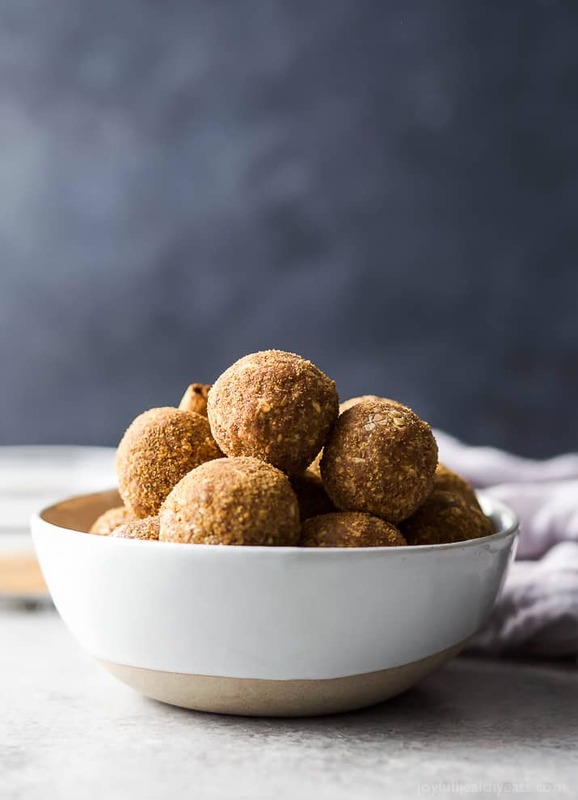 These easy Snickerdoodle Energy Balls are made in a blender and then rolled in a cinnamon coconut sugar crust. Ok, I have a question for you guys. Are you the kind that likes to walk around the grocery store and meander while shopping? Or are you more of a get in, get your stuff and get out type person? We had friends over for dinner the other day and I asked her about it. She said she loves the grocery store experience. She enjoys having a routine, getting a cup of coffee and wandering around Kroger. Especially the new one they just put in by us because they sell clothes and all kinds of stuff. Well, then add in that fact that I’m pregnant and yeah… let’s just say I found a new means of grocery store shopping and y’all NEED to try it! If you haven’t already! Now, Kroger offers a curbside/pickup or home delivery option. So you place the order online and either pick it up at the store or they’ll delivery it directly to your house. I’ve used curbside for a couple of months (especially during the holidays to avoid the crazy) and LOVE it! Not only because this pregnant momma doesn’t have to walk the grocery store aisles but it’s incredibly easy to use. I find that I spend less money because I’m ordering what I know I need based off my grocery list. I’m not walking past the freezer aisle and grabbing a pint of ice cream because it looks tempting, so I’m eating healthier. I can still add my coupons to the order, but even better; Kroger let’s you know of an offer you may not have known about when you’re ordering. 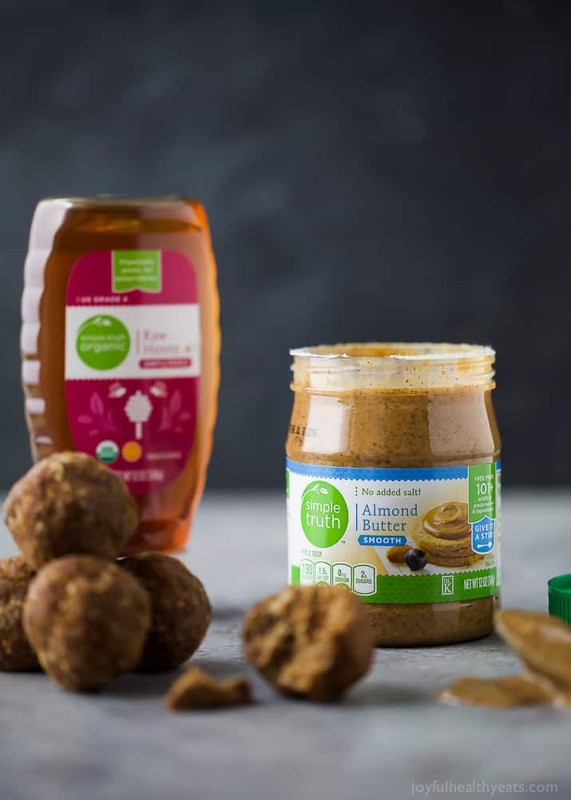 For example, I was ordering Almond Butter and under the add to cart option was a “save $1 on all Simple Truth Brand products.” So all you have to do is select “apply coupon” and it adds it to your order. I can order and pickup same day if I need to. When I’m picking up, all I do is pull up to the Clicklist parking area, call and they bring everything out to me. (AND PUT IT IN THE CAR!) There are times when they will have to “substitute” an item if they don’t have the exact item you ordered in stock. But most of the time it is a comparable product and they’ll let you know about the substitution. Living a healthy balanced life is always a focus for me. I think being balanced and giving yourself grace is what makes life enjoyable! No Nazi’s up in here! January always seems to press the reset button for me. Especially after I let myself go over the holidays to enjoy the food, family and friends that the holidays encompass. 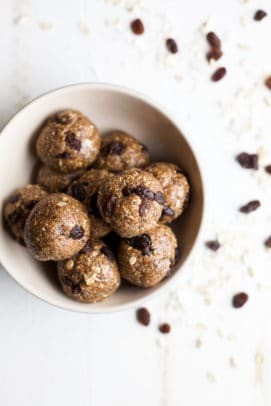 Which means January is all about smoothies, smoothie bowls, low carb dinners and energy balls to replenish and refuel. And I know I’m definitely going to need that when the baby comes too. Which is why I’m loading up on energy bites this month! 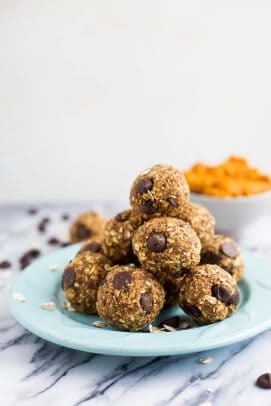 My usual go to recipe is my No Bake Chocolate Peanut Butter Energy Balls but I decided to change it up this month and try something new featuring Krogers Simple Truth Brand Almond Butter and Honey. 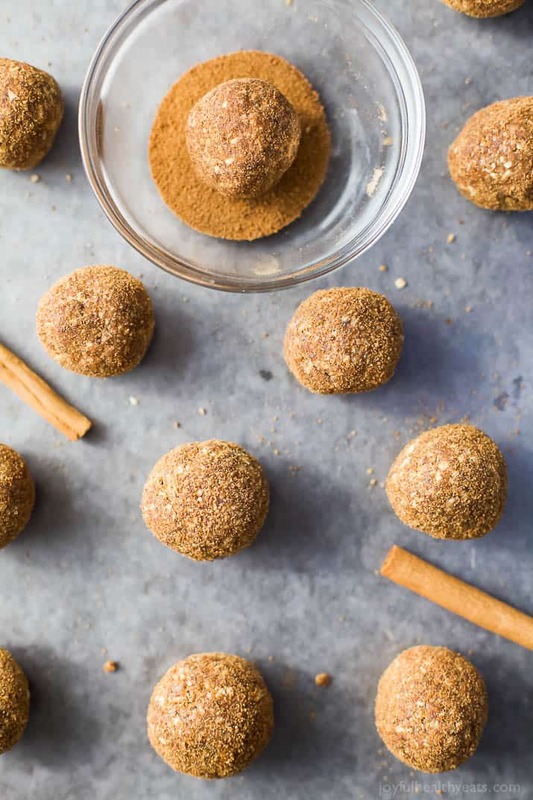 Y’all these Snickerdoodle Energy Bites are the bomb.com! YES! 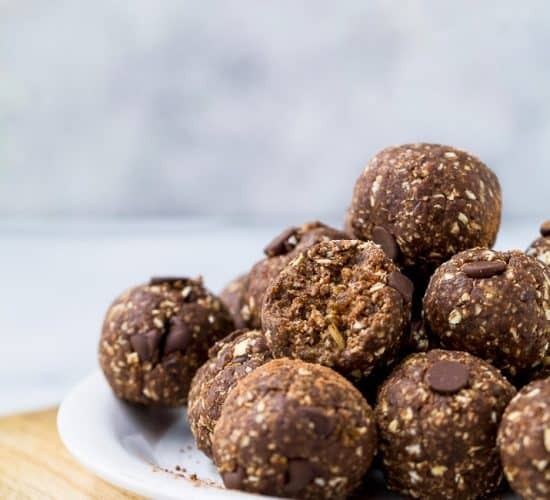 They are made with 10 ingredients and all natural; plus they’re illed with protein and fiber to help maintain a healthy gut. 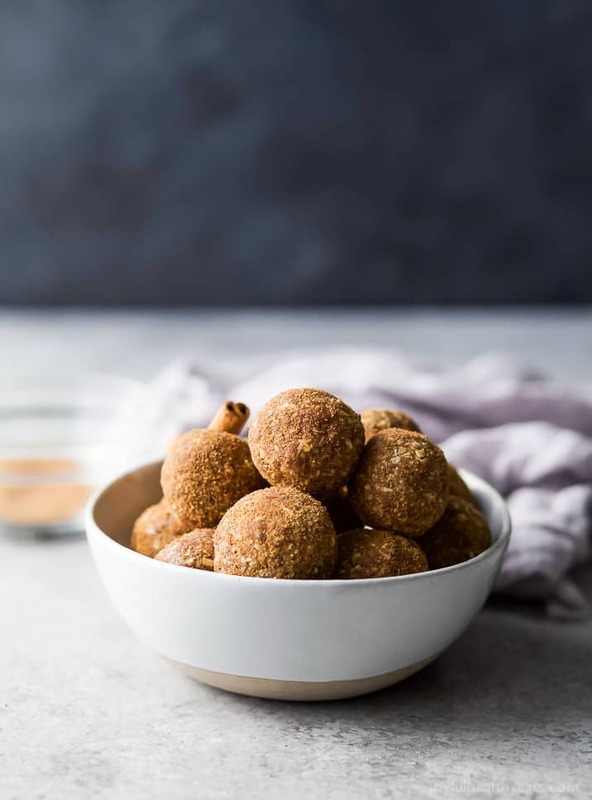 Once the Snickerdoodle Energy Balls are formed I rolled them in a cinnamon coconut sugar mixture and OMGeee! They are addictive. I’ve made 2 batches in 2 days. No joke! My son literally had 5 on his own in one day! 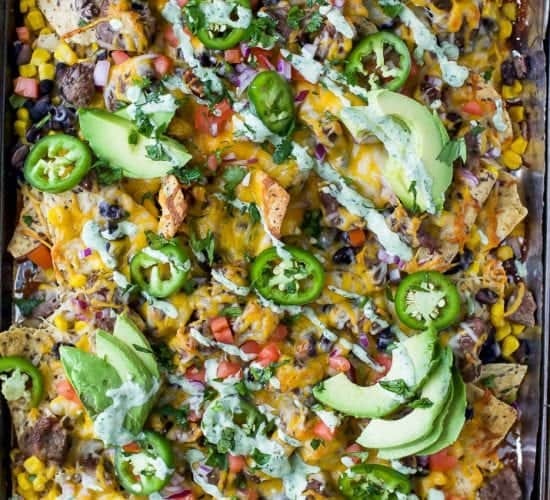 Just make a double batch. TRUST ME! 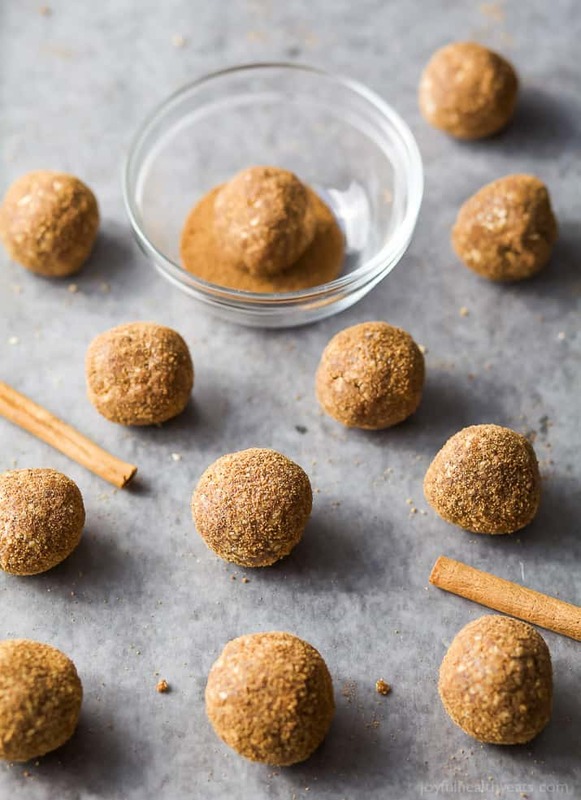 Roll into 1″ balls and place on a parchment paper. 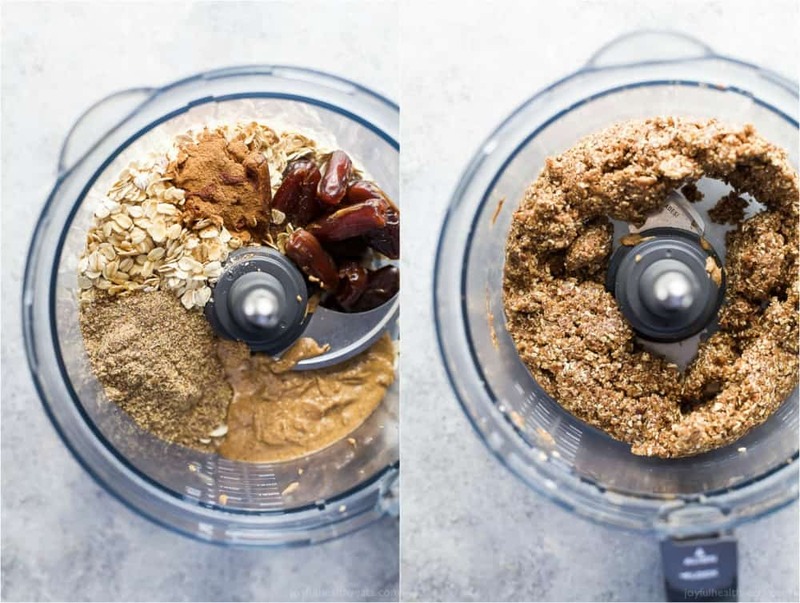 To a small bowl add coconut sugar and 1/2 teaspoon of cinnamon. Mix together. 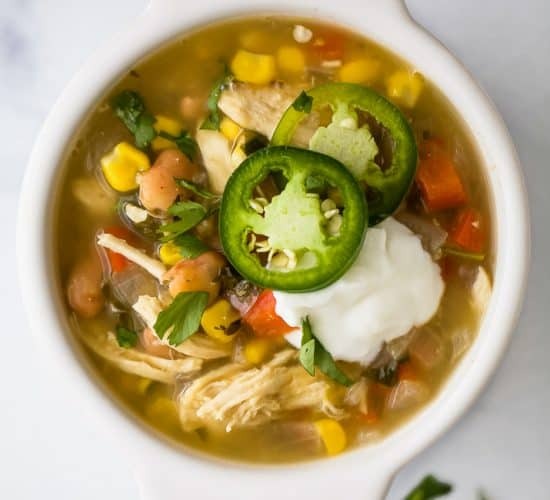 Want More Energy Bite Recipes? 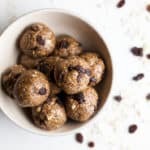 Sounds like my kind of energy balls!! These are so cute! 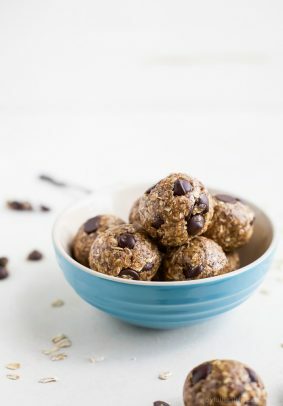 Great idea for our everyday snack! I would eat these all in one sitting. Wishing I had a batch right now. These look and sound great! 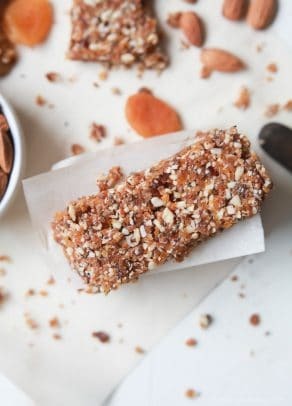 Great snack or dessert option! Mmmm what a great little snack! 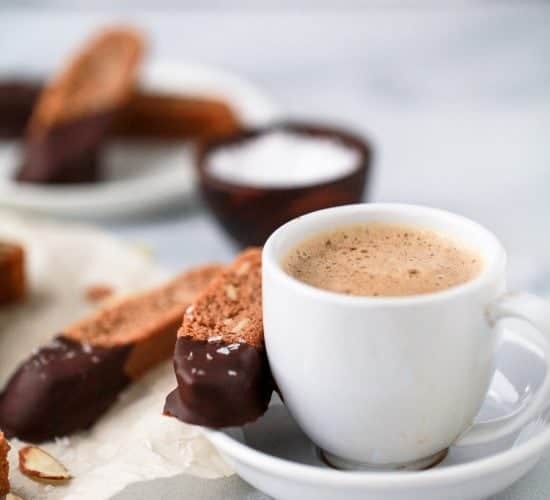 I would be that person who would eat the ENTIRE batch of a dessert recipe. No joke–I’ve done it before! 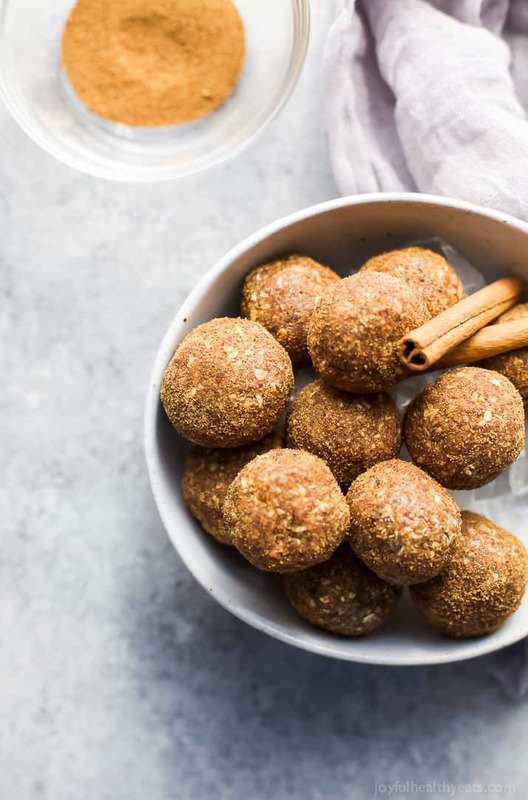 XD Anyways, these snickerdoodle energy balls look stellar. I’m sure they will give you lots and lots of energy and nourishment for the baby! haha.. I’m glad I’m not the only one! And they sure did fill me up and give me the energy I needed for the baby!